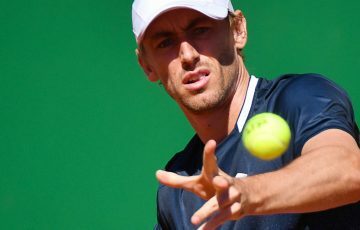 Even in the face of an impossible draw, the tennis gladiator in Lleyton Hewitt continues to believe he can pull off something special at the Australian Open. 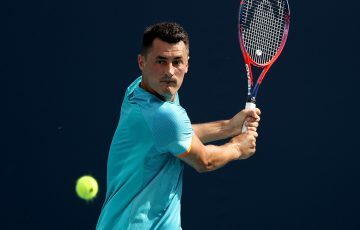 In many ways he already has, but Hewitt wants more ahead of his third-round showdown on Saturday with talented Canadian Milos Raonic, the ATP’s 2011 Newcomer of the Year. “I came in here with nothing to lose. 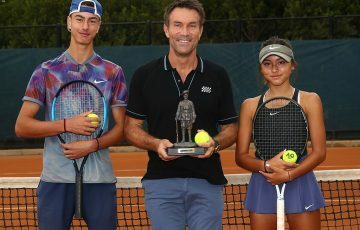 I’ll play with my heart on my sleeve and see where it gets me,” Hewitt said after reaching the last 32 for the ninth time from a record 16 straight visits to Melbourne Park. With his big left toe “hanging in there” with no cartilage, Hewitt, in reality, is a dead man barely walking at the Open. 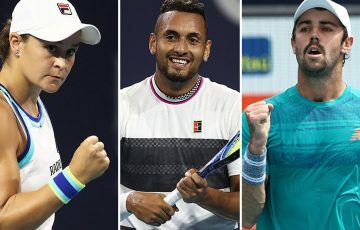 Even if he somehow manages to blunt Raonic’s supersonic serve and drag his battered body into the second week, a probable fourth-round confrontation with all-conquering world No.1 and defending champion Novak Djokovic awaits. Running into Djokovic is a meeting no man wants – except Hewitt. Turning 31 next month, the South Australian can’t get enough of Melbourne Park. 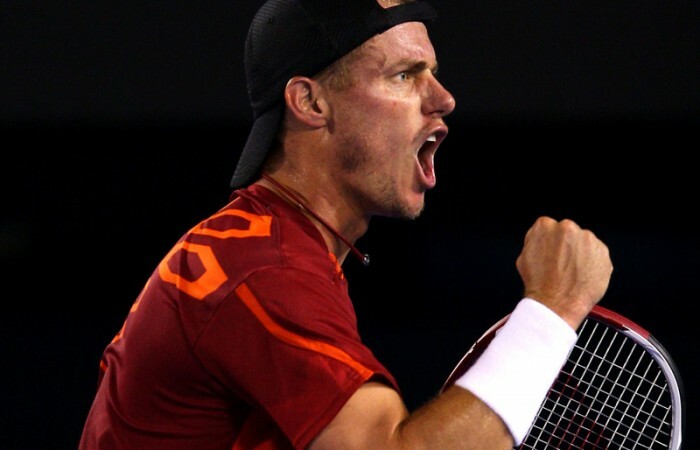 “I’m always pretty excited to win any match at the Australian Open,” Hewitt said after advancing when Andy Roddick retired with a hamstring injury while trailing two sets to one in the much-hyped clash between the two youngest year-ending men’s world No.1s in history. “Might be more purely because a few months ago, I came back from foot surgery, wasn’t even 100 per cent sure I would be able to play. 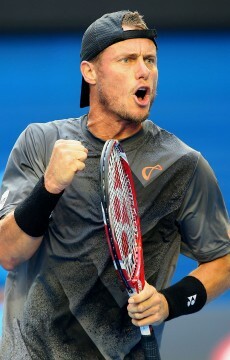 After three months off before Christmas, Hewitt says he is feeling better and better with each outing. “It’s no secret I didn’t play many matches last year,” said the world No.181. 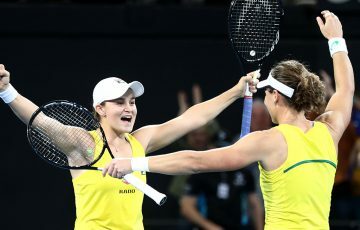 “To expect to come out and play against these guys, they played right through the end until – some of them – early December, it’s totally different on the practice court to the match court. Saturday, though, is another big step up. Along with Bernard Tomic, Raonic is the hottest young prospect in men’s tennis. 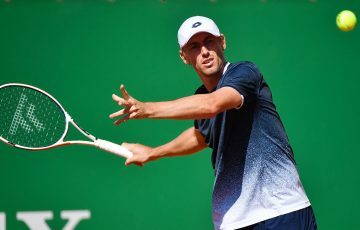 The Montenegro-born 21-year-old has rocketed from 154th in the rankings at the start of 2011 to 25th in the world after powering to the fourth round of the Open as a qualifier last year and then kicking on. “I’ve only seen him a little bit,” Hewitt said. 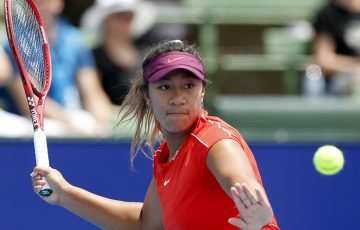 “Early on obviously the Australian Open last year I saw a little bit. “He played very well in San Jose and Memphis early on in the year, winning his first title in San Jose. “He’s a dangerous player. He’s similar in some regards to Andy. Raonic is looking forward to meeting a two-time grand slam champion. “It’s going to be good,” he said.